As bloggers, most of us want to make a difference…we feel we can somehow help others out there. We can use our written voice to be heard in a noisy world. I understand that wholeheartedly. However, I also understand that many of us bloggers want, and perhaps need, to make a living from our blogs. There are many ways to monetize a blog and I encourage you to try multiple avenues to find what works for you and your audience. Sponsored posts are just one way that bloggers can earn an income from their blogs. I was just able to pay for our entire Christmas with one month’s earning from sponsored posts…and have I mentioned we are a family of nine?? The key is finding those sponsored posts that line up with your goals and the atmosphere of your blog. That is where Influencer Networks can come in to work for you. These networks help match bloggers up with brands that are suited for them and their audience. You sign up for a network, add your social networks, and typically answer a bunch of questions to help match you up to brands that are a good fit. Some of these are my affiliate links, so thank you for supporting my family! Some of these links will also get you some neat bonuses too! Depending on the Influencer Network you apply for, you may be accepted right away or you may have to wait awhile. Some networks email you when they have an opportunity for you, and others list all opportunities in your dashboard and have you bid on them. Some pay you a set fee and others are click based. Other networks may offer you free product in exchange for promotion. I like having a variety of networks to pick from so I have have joined many networks. It is all a matter of what you are comfortable with. 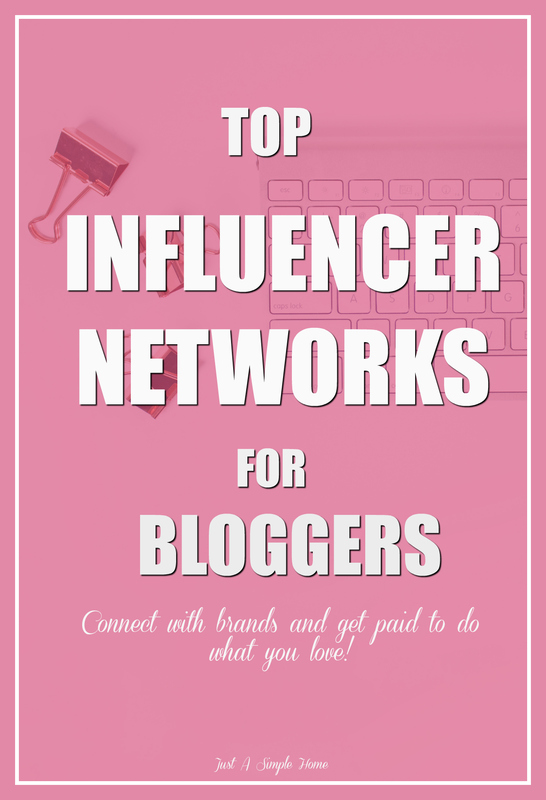 Here is a list of my favorite Influencer Networks for bloggers. I will update this list as I find more that I want to recommend. Some of these networks require a larger following or larger number of pageviews, and others work with newer blogger. For example, MassiveSway and Clever tend to be harder to get accepted into as they want a high pageview number, whereas Linqia only requires 2.5K followers to be accepted. I frequently work with Linqia, Socialix (5K following on one platform), Activate, IZEA and they are great networks to start with. I recommend applying to as many as you are comfortable with and seeing which ones work the best for you. You are so very welcome Paula! Terryn – you are an inspiration and always have great tips. Thank you for the great links. Very useful for me as a newbie blogger BUT I am based in the UK , can i still join them? You should be able to do most of them! Glad it is helpful!